The World Economic Forum (WEF) has come up with a list of top Ukrainian regions in terms of their competitiveness, ZIK informed May 27, 2008. WEF explains high ratings of Western Ukrainian regions by their macroeconomic stability (Lviv) and effective labor market (Zakarpattya). Proximity to European Union border also boosts the region competitiveness. According to the WEF report, competitiveness of Ukrainian oblasts is diverging, with the rates of between 53 and 93 on the global list. However, the ratings of all oblasts are affected by high degree of political instability in the country, which impacts the development of business. In defining the position on the list, 12 factors were considered by WEF experts: the level of the development of infrastructure, financial market, labor, goods and services market, macroeconomic stability, health care and education, both secondary and higher. The list is based not only on the analysis of macroeconomic indicators in the oblasts but also on polling business representatives. Kyiv is an absolute leader, with rating of 4.25 matching that of Croatia. Dnipropetrovsk oblast has the 4.24 rating and leads Cyprus. 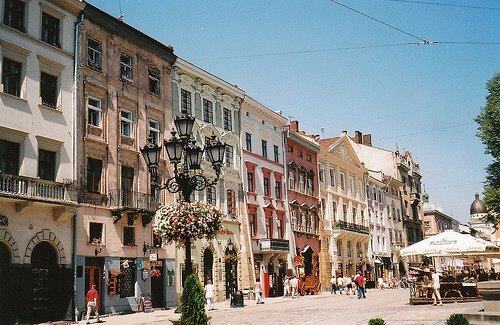 Ukraine's Western oblasts were given high ratings: Zakarpattya leads Turkey for its development, Khmelnytskyi oblast leads Brazil, Lviv oblast is on a par with Russia.